Simone Bordet is a Jetty Committer, the CometD project leader and works as Lead Architect at Webtide, now part of Intalio. 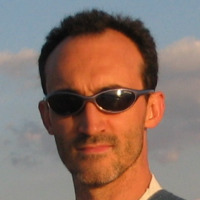 Active open source developer, he founded and contributed to various open source projects such as Jetty, CometD, MX4J, Foxtrot, LiveTribe, and others. Simone has been technical speaker at various national and international conferences such as Devoxx, JavaOne, CodeMotion, etc., and is a co-lead of the Java User Group of Torino, Italy. Simone specializes in server-side multi-thread development, J2EE application development, in Comet technologies applied to web development, web network protocols and in high performance JVM tuning.